100% HUMAN HAIR Add on side bang / fringe. Some colors (+5) are $5 extra. It can be tinted, toned or streaked with a DARKER color by your hairdresser, but you cannot lighten it. Model is wearing one bang 6" long. 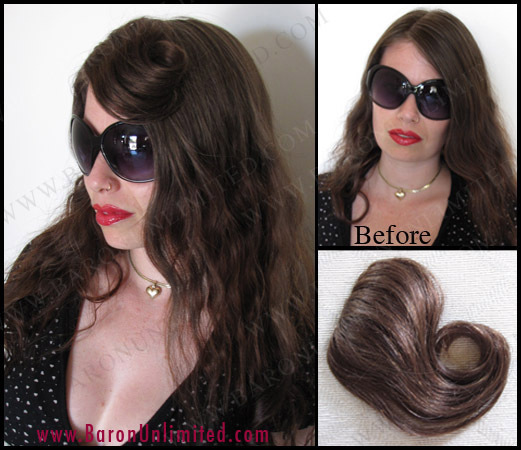 Can be curled with curing iron or rollers Backcomb your hair about 2 inches from your hairline. Snap on at an angle. Sold separately. No returns allowed on human hair products.